I LOVE clay masks, they have transformed my skin from constant acne breakouts to clear skin with a balanced and glowing complexion. That’s why we created the facial clay mask assortment pack. 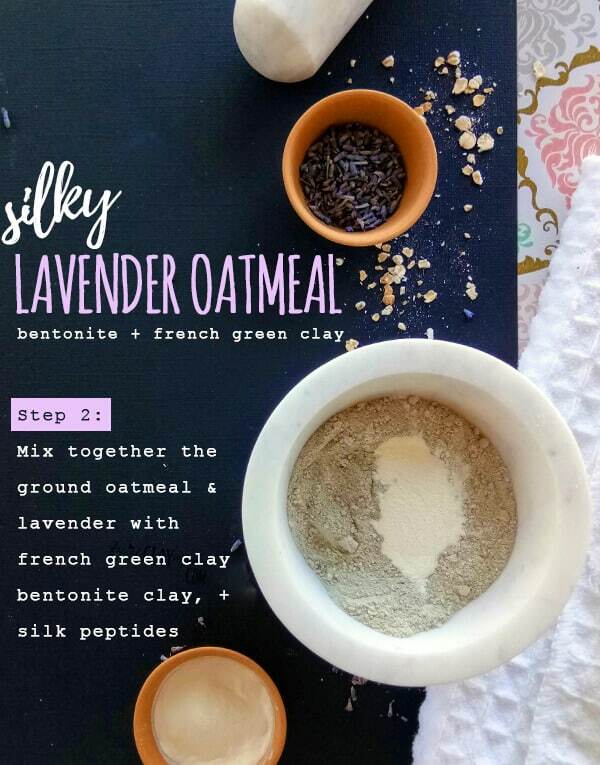 And I’m really loving this clay recipe as it combines 2 of my favorite clay types, with a beautiful lavender fragrance. Most of our clay mask recipes are all formulated for mixing and application right away. If you want to mix up a large batch at the same time, this requires preservatives. This dry clay mask recipe is the best of both worlds. Pre-mix a clay blend with oatmeal and lavender. This oatmeal clay mask can be mixed yogurt or apple cider vinegar and water. More on that below. For this recipe we chose to use a blend of french green clay and bentonite clay. Easily two of my favorite clay types for acne, large pores, and balancing your complexion. If you are new to the world of clay, try our facial clay assortment pack. It’s hand packed with love, and comes with 4 different clay types. Amazon has the best shipping options for our customers, so we only have it available right now for sale on amazon. What are the benefits of oatmeal for your skin? Why should you blend different types of clay? 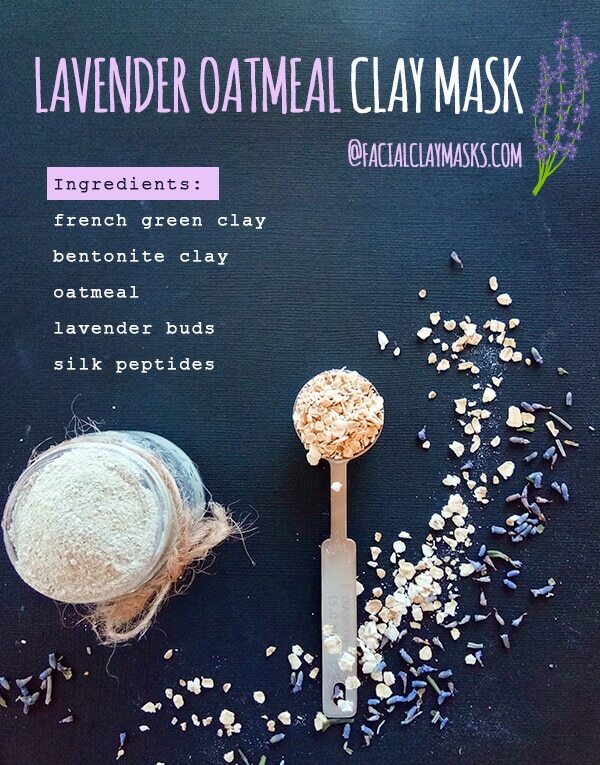 What are the oatmeal clay mask ingredients? Most importantly, we will go over the ingredients found in this clay mask. Why we chose those ingredients and how to store this dry clay face mask. P.S. this makes a GREAT gift for your friends. I love having these 4 oz. mason jars on hand to give mini gifts to friends. Or I always reuse my food jars, recycle! Why is oatmeal a great skincare ingredient? Oatmeal for you might be one of those dreaded childhood memories of bland oatmeal with brown sugar on it. That’s certainly true for me. But with the rise of food bloggers, my oatmeal has changed to a culinary and delicious experience. Plus I have a whole new appreciation for the fibrous, protein, iron and vitamin packed nutrition that oatmeal offers. Slightly off topic, but I even compared the nutrition of my favorite breakfast smoothie to my favorite oatmeal recipe and the nutrition is the same if not better for oatmeal. If you are wondering. My favorite oatmeal recipe is packed with almonds, chia seeds, hemp hearts, flax seeds, and almond milk to up the protein nutrition. I’m a thorough believer that anything good on the inside is also great on the outside. It’s also important to keep in mind this is true for treating acne as well. A good skincare routine is just as important as a good diet in achieving glowing skin. Rolled Oats. These oats have been steamed, rolled and flattened into flakes and then dried to preserve shelf life. You would recognize these as oatmeal. Quick Cooking Oats. Similar to rolled oats, however they are steamed for longer and processed into a smaller size flake. This allows for cooking in less than 5 minutes. These oats are the most convenient, and the most processed. An easy mistake to make is to grab a package that has sugar added. Steel Cut Oats. This is made from the mostly unprocessed “oat groat”. An oat groat is the closest thing to the harvested oat, with just the inedible husk removed. Steel cut oats are “oat groats”, but are cut into 2 or 3 smaller sizes. These steel cut oats can take from 20 to 40 minutes to fully cook. Both rolled oats and quick cooking oats are easy to grind up in a spice grinder. If you only have steel cut oats, a spice grinder will not work, but a vitamix will definitely do the trick. Another oatmeal term that you might have come across is “colloidal oatmeal”. This is used cosmetic products and is simply the oatmeal oat dried and ground into a very fine particulate. One much smaller than your spice grinder can achieve. You only need colloidal oatmeal if you are using oatmeal for a moisturizer or lotion and don’t want clumps. For our purposes, regular oats will do just fine! What are the benefits of Oatmeal for my skin? We know oatmeal is very nutritious for you in your daily diet. But how does oatmeal measure up in your skincare? It’s a very common ingredient in DIY face masks, as well as commercial products. Anti-inflammatory properties can calm and soothe the skin and reduce irritation and itchiness. Contains antioxidants which limit the production of free radicals. Protecting your skin against ultraviolet UV rays. 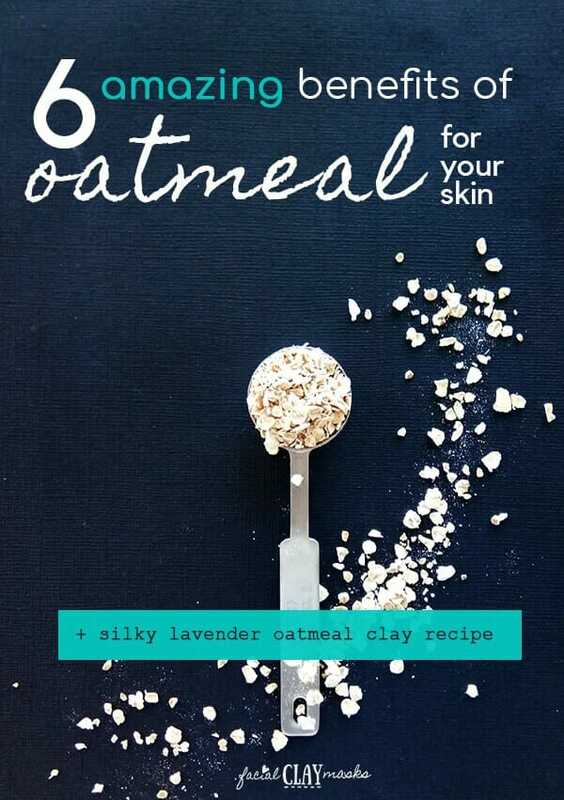 Oatmeal even cleanses your skin! That’s due to the saponins in the oatmeal. Exfoliates your skin, again due to the saponins. Strengthens the skin barrier from this blind study on 50 healthy women. Balances the PH of your skin. With these benefits, I’m not surprised oatmeal is an ingredient in a bunch of skincare products. And why it’s often a star in “from the kitchen” DIY skincare recipes. Acne, due to it’s anti inflammatory and cleansing properties. Dry skin. In this study, some participants found that their dry skin was significantly improved for over 2 weeks after using a collodial oatmeal product. Atopic Dermatitis. Which is inflammation of the skin resulting in itchy, red, swollen and cracked skin. Also known as eczema. Why should you blend different types of clay together? 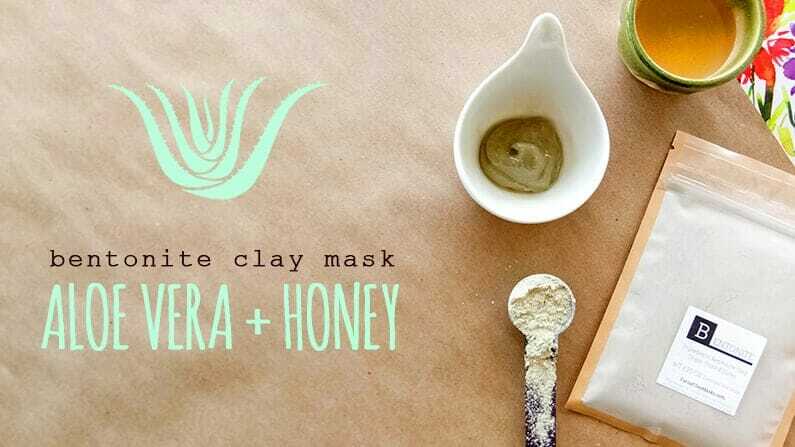 As much as we love oatmeal from above, the real star of all our face mask recipes is the clay. 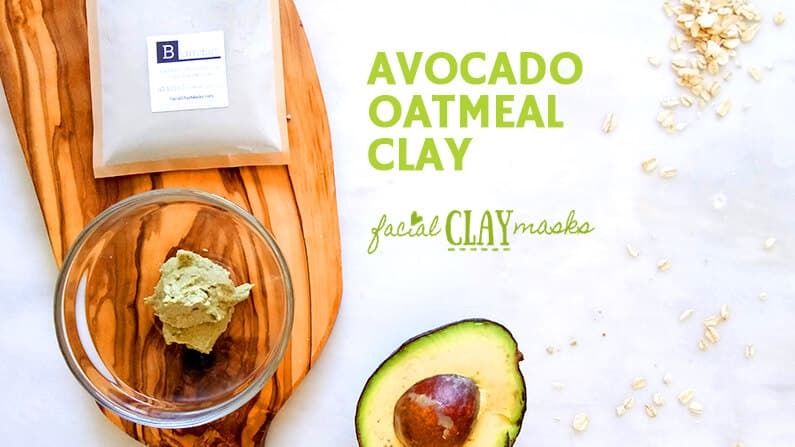 This oatmeal clay mask features 2 star clay ingredients, bentonite and french green clay. Formed from ancient volcanic ash deposits, our calcium Bentonite Clay is mined from the Death Valley Desert in the United States. Our french green clay is, you guessed it, from France. Both of these clays are widely regarded as therapeutic healing clays. Not just amazing for your face, but also for a host of other remedies. Just some of them include use as a poultice to soothe burns, insect bites, rashes, eczema. Some people even eat bentonite clay to detox the body of heavy metals. Do not ingest our clay, it is not food grade and for external use only. 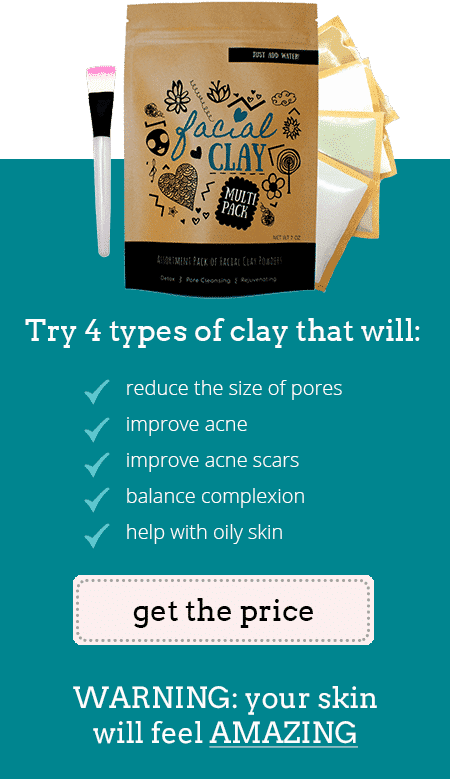 Clay is good for all types of skin, even dry skin. But with dry or sensitive skin, you only want to keep the clay mask on for half the time. Each different type of clay does have different properties, and therefore different benefits. For example, bentonite is a swelling clay that can expand up to 18x it’s size when mixed with water. It also has the strongest cation exchange capability (read more about that in how clay works). This means that it actually does a swap of the negative charged minerals attached to the surface of the clay with the negative charged chemicals or heavy metals on your skin. Bentonite is an amazing deep pore cleanse and detox for this reason. Bentonite also works amazing on oily skin. So combined with excess oil absorption and cleansing deep into your pores, it’s super effective on acne. French Green Clay creates an tightening effect after a face mask and is said to reduce the appearance of pores. You can actually feel these effects after a mask. French green clay is great for normal to oily skin and is my favorite for making my skin soooo smooth afterwards. Bentonite Clay and French Green Clay are both amazing, so blending them together gives you the benefit of both. The ingredients for this nourishing cucumber mask are pretty simple. I recommend getting our facial clay mask assortment pack, which has both bentonite and french green clay included. This recipe yields approx 15 face mask recipes. 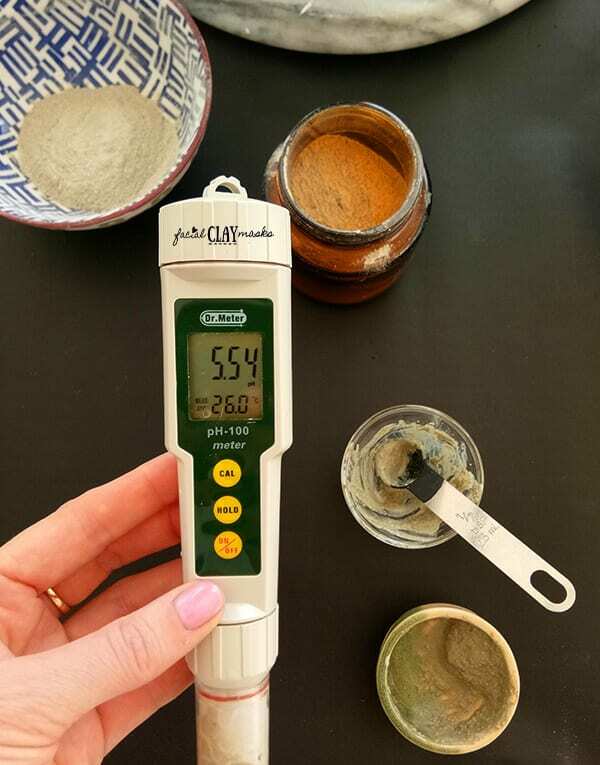 If you change the unit of measure from tablespoon to teaspoon, it will yield between 5 to 6 face masks. Keep in an air tight container, in a dry place out of sunlight. Oatmeal has a 18 to 24 month shelf life (see your package for details. While clay is stable it has an approx 3 years shelf life. So you can mix this and keep for a while. Step 1: Mix the oats in a spice grinder until fine. Step 2: Then add the lavender to the spice grinder and mix until fine. Step 3: Add the clay, bentonite and french green clay, and the silk peptides to the dry mix. Note: Both the bentonite clay and french green clay from our assortment clay pack are fine mesh so there’s no need to grind these further. Our french green clay is 125 mesh and our bentonite is 325 mesh. Making these clay’s very smooth to the touch, to mix and to apply. You also don’t want to inhale the clay, so mixing the clay will cause unnecessary dust. Make sure to cover you face if there’s clay dust in the air. 3/4 teaspoon of apple cider vinegar and 3/4 teaspoon of water. Note: you may have seen some bentonite clay recipes that recommend straight apple cider vinegar. Do not use straight apple cider vinegar in this recipe. We tested it, and it tested at approx 4.8 PH, which is a bit too acidic. With the 3/4 of each acv and water, our mask was 5.5 PH with our Dr. PH Meter. Perfect! The first time I made this clay mask, it didn’t stick at all. I added way too much oatmeal and not enough clay. This mask applies a bit different than a simple apple cider vinegar and bentonite clay recipe. It applies in a smooth with “clumpy” application. Before beginning, always make sure to cleanse your face first and removing any makeup. Apply the face mask with your fingers or a face mask brush evenly to your skin. Let dry for approx 10 minutes. Let any other clay mask, remove the mask before it dries on your skin. If you have sensitive or dry skin, apply this mask for only half the time. To remove the mask, I especially enjoy using hot water to warm a face towel. Apply the face towel over your face for a couple seconds to remoisten the clay and then remove. It’s perfectly normal to experience some redness after you remove the mask. This will go away in approx 30 minutes after you remove the clay mask. I’ve noticed a correlation between increased redness when the face mask is left to fully dry. Leaving your clay mask on too long until it’s dry and flaky can compromise your natural protective skin oils. 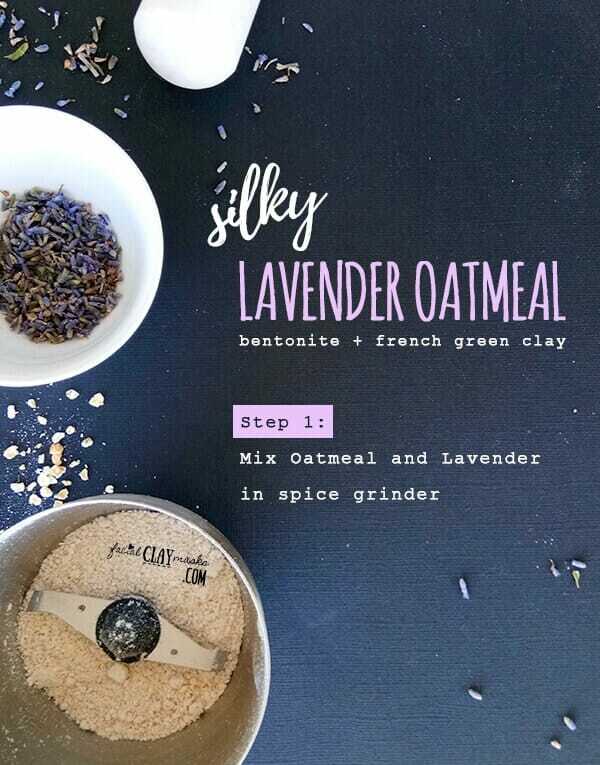 With French Green Clay and silk peptides, and soothing oatmeal, this mask makes my skin feel so lovely! Disclaimer: Our content does not constitute a dermatologist or medical advice. Did you try this mask? I would love to hear how it worked for you! Leave a comment below. 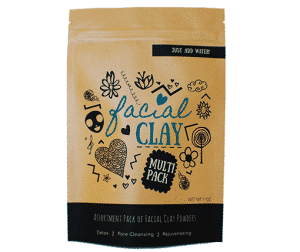 April 2019 limited time promotion: get 20% off facial clay assortment pack on amazon for your best skin. Click here to get the coupon. We hand pack only the best quality clay in Canada with love.